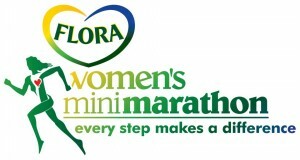 Next Monday June 4th Susan O’Halloran will take part in the Flora Women’s Mini Marathon. She has chosen to support the Sam McMahon Trust and we are thrilled. We would like to wish her well and to thank all of the people who have sponsored her. We were overwhelmed to hear that Susan O’Halloran was taking part in the 2011 Women’s Mini Marathon and raising funds for the Sam McMahon Trust. We very much appreciate Susan’s thoughtfulness and generosity. We would also like to acknowledge the unrelenting support from the staff at Coláiste Éanna. Your quiet kindness has not gone unnoticed.